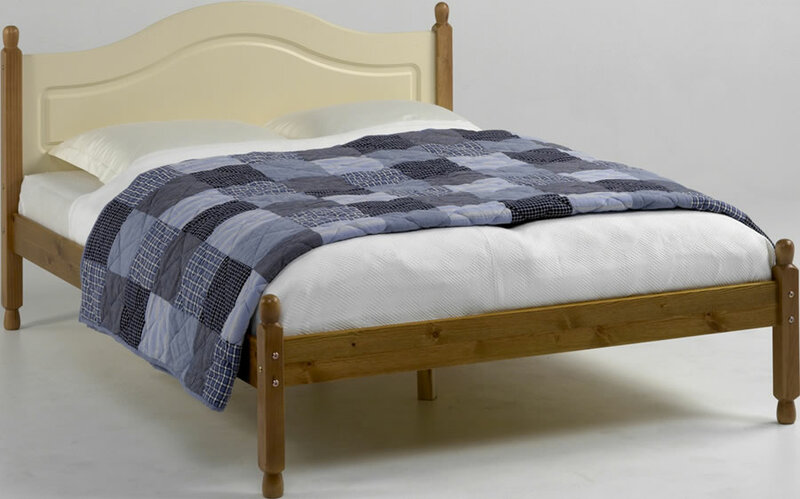 The Steens Richmond Carlton cream and traditional pine double bed frame features pine slats with a full length centre support bar and legs. Made from good quality pine with a cream finished MDF high headboard. 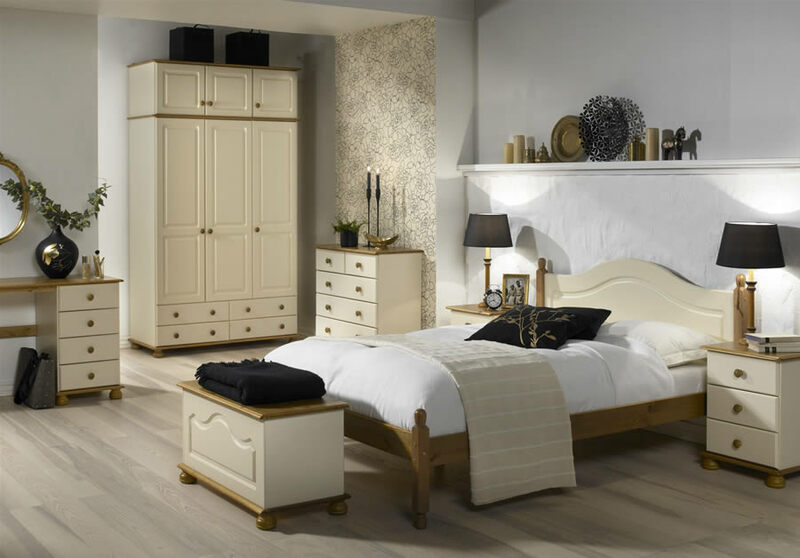 The Carlton double bed offers a low foot end and recessed detailing in the elegant curved headboard. Suitable for use with a standard UK double mattress 135cm wide by 190cm long.